10. Want to impress someone? A boyfriend or girlfriend? Take them to the Grand Canyon. 9. Pictures. Yes, there are a zillion pictures of this beautiful natural feature. But until you visit, none of them are yours. 7. You can fly a jetpack across it. Really. We don’t recommend it, but apparently you can. This guy did. 6. If you die before you see it, you’ll regret it. Fair warning. 5. Take a trip and get away for awhile. You can camp by the Grand Canyon and reconnect with natural beauty. 4. The pictures will look great on your social media platforms. 3. When you visit the Grand Canyon, you can also visit the Hoover Dam, which is the man-made equivalent of a natural wonder. 2. There is gift shop schwag you can only purchase at the Grand Canyon. Go get some. 1. You can get a helicopter tour. 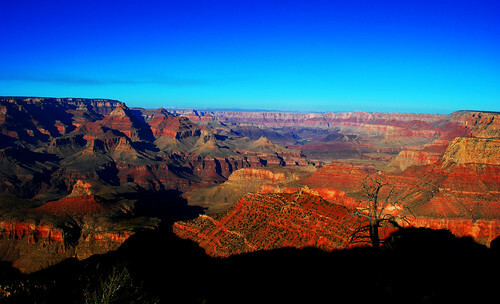 Check out these Las Vegas to Grand Canyon tour packages. The Grand Canyon is a true spectacle, be sure to check it out in the near future. And leave us a comment, please. Did we convince you to put the GC on your bucketlist? If not, why not?